PMS, or premenstrual syndrome is a less than desired time of the month for women, especially for those in their twenties until the earlier part of their thirties and often beyond. In fact, three out of every four women of menstruating age will suffer from some level of PMS. One of the symptoms which is most common to all is the female bloating as well as the PMS mood swings. These symptoms may or may not be accompanied by headache, cramps, breast tenderness, constipation or diarrhea, muscle aches, and fluid retention. There are various remedies used for premenstrual syndrome. Recently, PMS herbal remedies have gained more popularity, especially for PMS night sweats, moodiness, bloating, and more. 1. For some natural PMS relief, chaste tree berry is often used with great results. 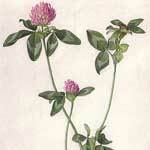 In fact, this is one of the most popular herbal remedies used in Europe. 2. Evening primrose oil also has properties which will ease PMS symptoms, especially breast tenderness and pain with inflammation. 3. Some studies have shown it is beneficial taking vitamin B6 for PMS. 6. Nettle tea is suggested for the added water retention. 7. Licorice in the form of tea increases progesterone levels while reducing estrogen. However, high blood pressure sufferers should avoid licorice. 8. For the time of premenstrual anxiety, valerian is suggested for its calming effects. 9. Dandelion root is used for water retention, PMS related acne, and muscle cramps. This herbal remedy contains vitamin A, potassium, and iron. 10. Saw palmetto is known as a treatment for premenstrual acne as well as aggressive moods and overabundance of body hair.